Understanding the unique human-animal bond, Westheights Veterinary Hospital Kitchener offers quality affordable medical and surgical care for your pet. We know your pet is not only a part of your family but also a part of your daily life as it shares every course of your life. But what if something bad happens to your adorable pet? Don’t let that something cause any physical suffering to your pet. Kidney problems that may be noticed through increased urinating and drinking, loss of appetite, vomiting, ammonia smell in the mouth, etc. Inflammation in joints with symptoms such as change in gait or limping, loathing toward climbing up to the stairs, reluctance for moving, difficulty in walking or standing, and exhibiting uneasiness when picked up. Gum inflammation or diseases with symptoms such as bleeding, swollen or red gums, etc. Diabetes which may be noticed from symptoms such as increased urination, frequent thirst, blurred vision, weight loss, irritability, fatigue, persistent infections, slow-healing cuts or bruises and so on. Cancer may also occur in pets and its symptoms are lumps or bumps in the body, sores that heal slowly, changes in weight, bleeding from nose, mouth etc. There might also be symptoms such as coughing, difficulty in eating, drooling, extreme tiredness, and excessive panting. There are so many other conditions/ illness that a pet may suffer. 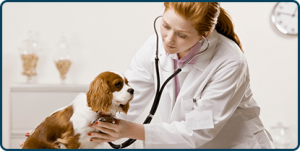 At Westheights Veterinary Hospital, we provide best quality medicine after properly diagnosing the illness/ condition. We, at Westheights Veterinary Hospital, strive to maintain optimal health of your pets. Our animal hospital is equipped with latest tools, veterinary medicines, laboratory for testing, digital x-ray machine and many other equipment required for effective diagnosis. Our vets offer personalized care and assistance to each and every pet to ensure their speedy recovery. We take care of your pets like ours. Contact today for any pet health concern.